WASHINGTON – December 11, 2014 – (RealEstateRama) — Metro areas with a lower cost of living and sunnier weather are poised to see an increased number of baby boomers moving in and buying a home as some delay retirement and remain participants in the labor market, according to new research by the National Association of Realtors®. NAR analyzed current population trends, housing affordability and local economic conditions in metropolitan statistical areas1 across the U.S. to determine housing markets most likely to see a boost in sales from leading-edge baby boomers2. Boise, Idaho and Raleigh, North Carolina were identified as top standouts for baby boomers for their solid job growth, share of self-employed workers and affordable home prices. Lawrence Yun, NAR chief economist, says Florida and Arizona cities attract many baby boomers. In addition, the share of men and women working after their 65th birthday has increased3, setting the stage for elevated baby boomer buying activity in metro areas with a dynamic local economy, adequate housing supply and a lower cost of living. According to a NAR generational study of homebuyers and sellers released earlier this year, baby boomers represented 30 percent of all buyers, had a median household income of $92,400 and bought a home that cost $210,0004. 2Baby boomers are generally categorized as those born in the U.S. between 1946 and 1964. NAR’s research analyzed leading-edge baby boomers (ages 60-69). 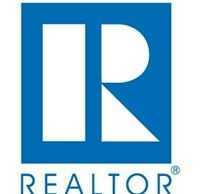 4 According to NAR’s Home Buyer and Seller Generational Trends study. The study breaks baby boomers into two generations: Younger (ages 49-58) and Older Boomers (ages 59-67). All information is characteristic of the 12-month period ending in June 2013 with the exception of income data, which are for 2012.